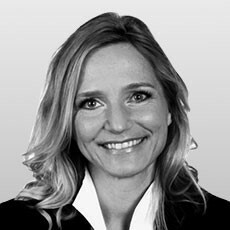 Sonja is Managing Partner of Navispace. Navispace organizes the Innovation World Cup Series the biggest open innovation platforms in the IoT and wearables space with many innovative sports and healthcare solutions. In cooperation with partners, MEDICA, FIMS, ACSM, DGSP, EiM, EFSMA, WT and many more, Sonja and her team have set up an ecosystem that connects sports medicine, sports, and healthcare. Before, she was heading the marketing and business development of embedded systems company ESG and worked for the Boston Consulting Group. Between 1995 and 2001 she worked as an assistant professor at Witten/Herdecke University and University of Arts Berlin. Sonja holds a degree in business management and economics and her Ph.D. thesis won the annual university award for being the best across all faculties. Her interest in sports medicine has already started in 1989 with her high school thesis about the athlete´s heart.